This week, Twitter’s co-founder Biz Stone launched a new mobile, visual Q&A app called Jelly. The app enables users to pose a question to their social networks by taking a photo and attaching a drawing or text. These questions display in a swipe-through feed on the app, to be answered or ignored by other users. In a video about how Jelly works, Biz Stone comments, “everyone’s mobile, everyone’s connected, so if you have a question there’s somebody out there who knows the answer.” He also describes Jelly as a “new way to search” and claims that users will get on board as people are “driven to help”. Biz stresses that the key difference of searching through Jelly is that users have access to real, human knowledge rather than information thrown up by algorithms. Either Twitter, Facebook or both of these networks can be connected to Jelly but users also have the option to share questions with other social networks, via email or via SMS. Questions will appear in the feeds of not only friends but friends of friends and users can forward questions to a friend, providing for a much wider reach. Users are notified when they receive an answer and have the option to click the ‘thanks’ button or share the reply. Jelly is essentially a way to “search the group mind of your social networks”. It fits in with our need for instant answers, social interaction and entertainment and the app is similar to Snapchat in that its content is transient and disposable. How can Marketers Benefit from the Jelly App? As with every app, platform or product that enters the market, it is difficult to predict how well Jelly will work for marketers at such an early stage. Yet, a number of factors give reason for its potential. Significantly, the apps strong relationship and dependence on Facebook and Twitter poses the likelihood of a rapidly growing user base. 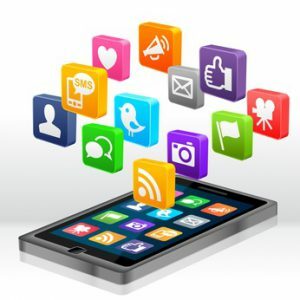 The app is also simple and speedy and gives access to a wide audience reach. Brands can answer questions to reach out and provide their knowledge/expertise to customers or potential customers quickly and easily. Brands can create competitions on the app, e.g. the first to answer the question wins, the first to get to this location wins, the first to find this hidden object wins etc. Brands can pose questions to reach out for feedback on products, services or ideas. Travel brands can particularly benefit from the apps focus on images. Brands can engage in discussion with others in their network and the networks of their fans. Jelly is a newborn so who knows how it will develop and what new features it will adopt over time? For marketers, it may be a case of watching and waiting for the app to grow in its ability to provide more search and measuring possibilities. The introduction of question filters and the ability to respond to users who answer questions are some other ideas that could help make the platform more feasible. Check out Jelly’s introductory blog post here. Have you tried Jelly yet or is your brand planning a campaign through the app? Leave us a comment about your experience. This entry was posted in News and tagged jelly application, mobile jelly app, new jelly app, twitter jelly app on January 10, 2014 by Pinnacle. I was very pleased to find this site. I need to to thank you for ones time for this wonderful read! !